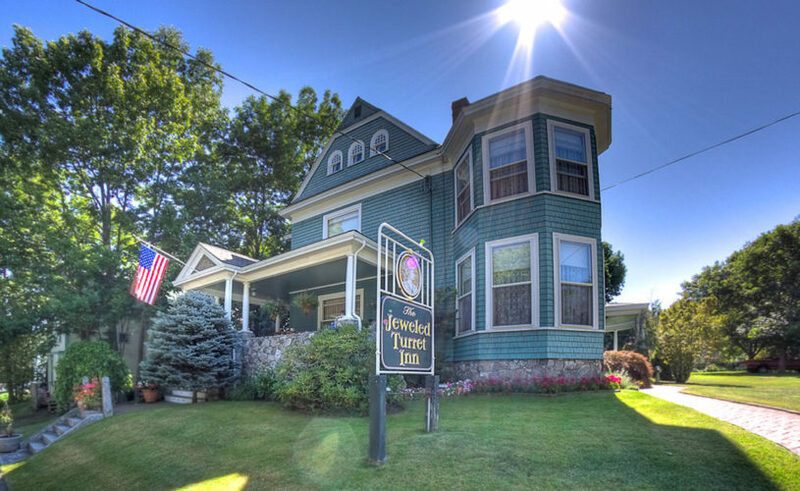 The Jeweled Turret Inn offers seven beautifully restored guest rooms, wide verandas next to quiet gardens, and relaxing common areas for socializing. 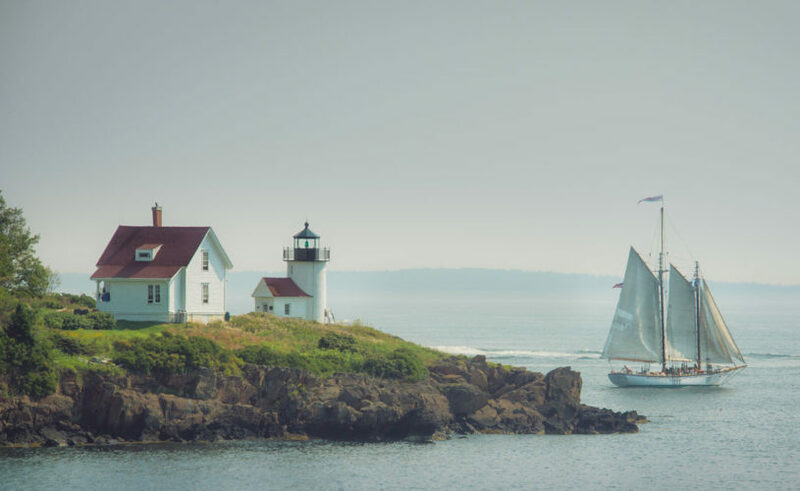 Centrally located in Belfast, our charming coastal village on Penobscot Bay, The Jeweled Turret Inn makes for a truly romantic escape to MidCoast Maine – You are welcome to be our guests. 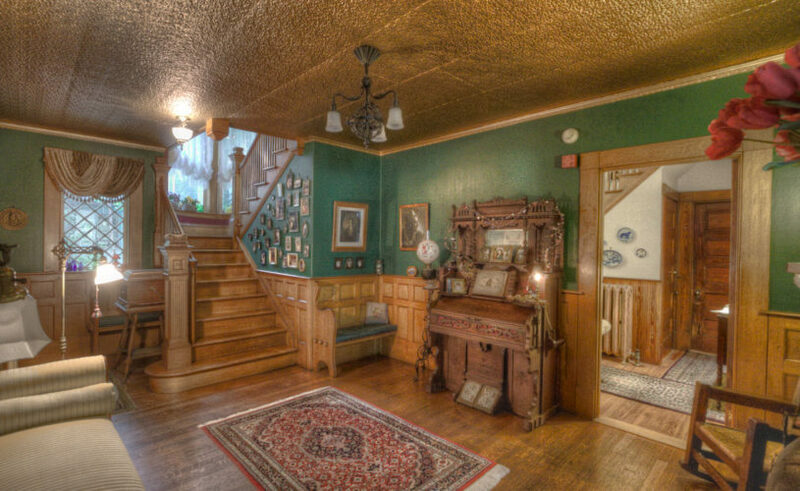 The Jeweled Turret offers 7 delightful guest rooms, each uniquely decorated. 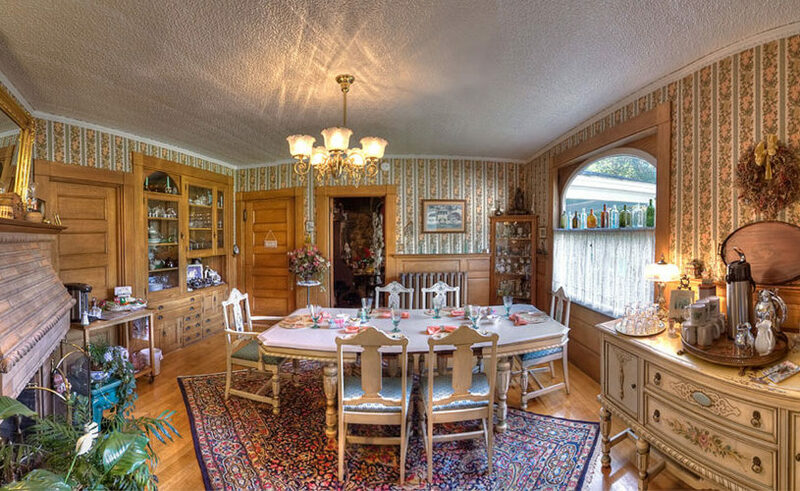 There are 2 rooms on the lower level, and 5 rooms on the upper – a consideration for guests who may find stairs a challenge. 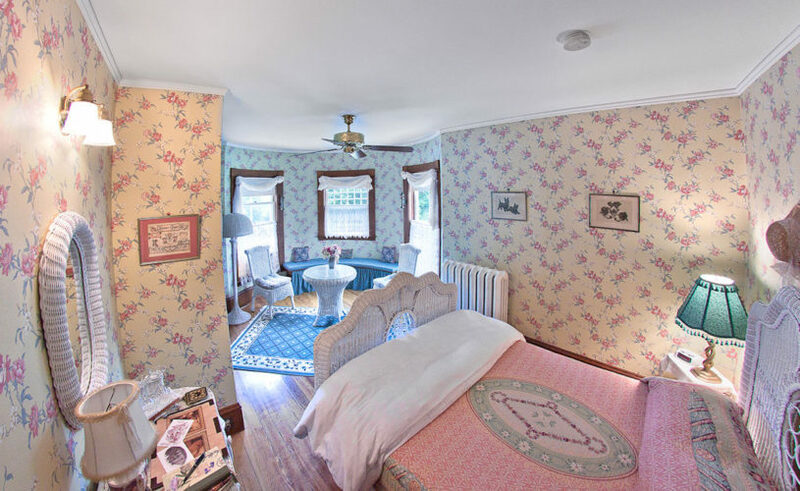 Each room includes a private bath, air conditioning, and free wifi. 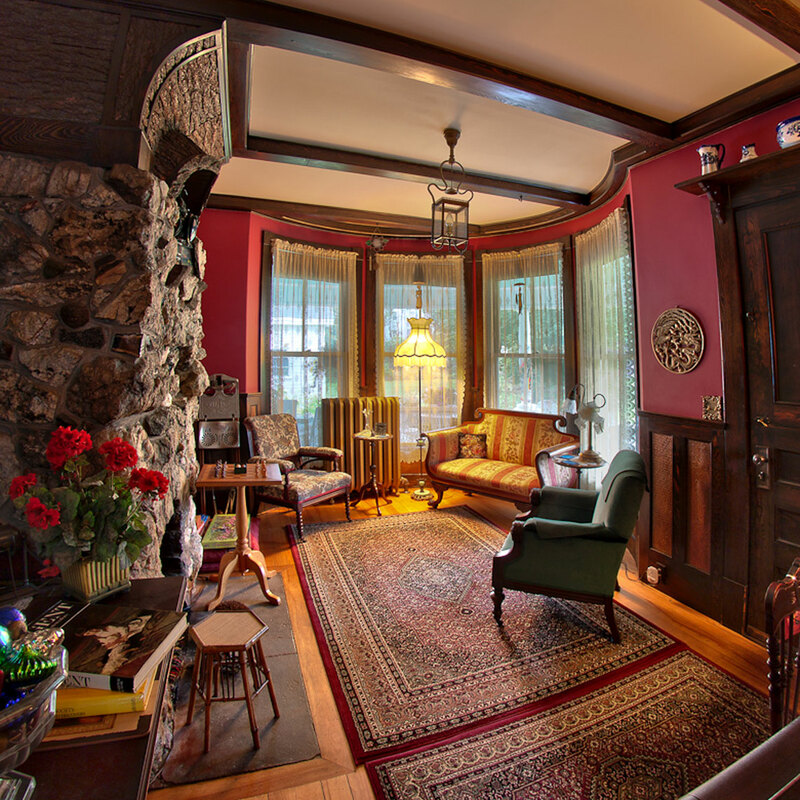 The Jeweled Turret is listed as a “Landmark” on The National Register of Historic Places, having been built circa 1898. 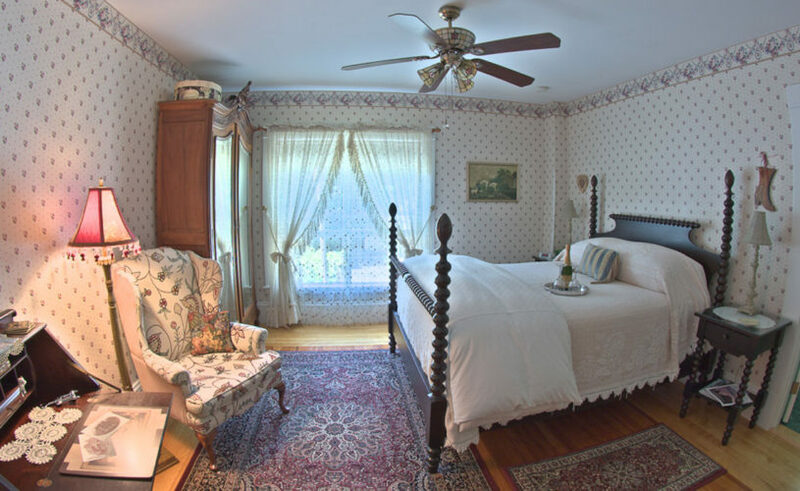 Our Belfast, Maine bed and breakfast is Victorian in style, with beautifully restored interior furnishings and exquisite antiques. 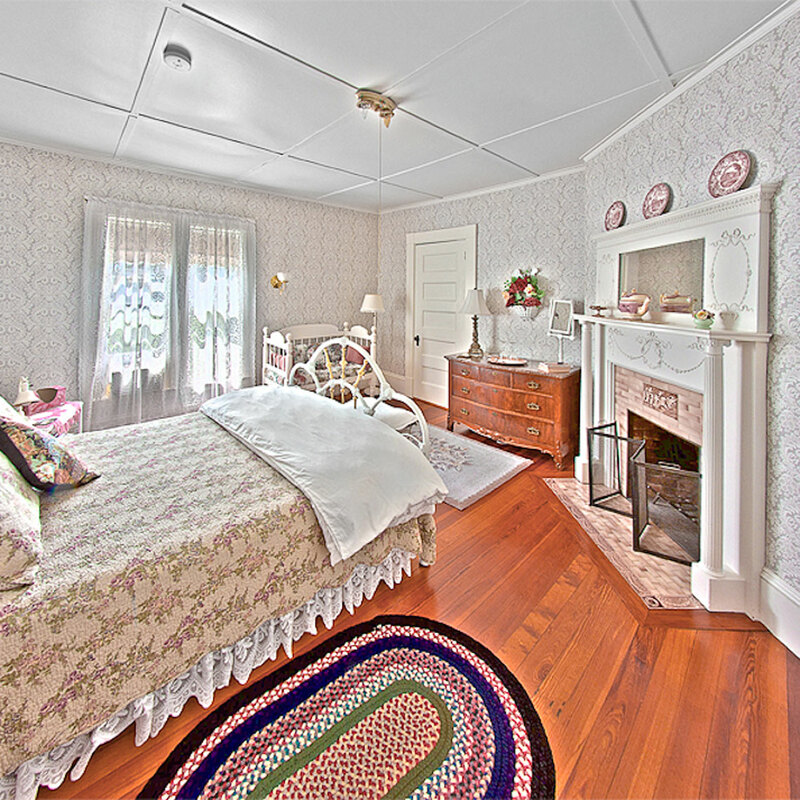 Elegant features of the mansion include, four luxuriously decorated parlors, four fireplaces, and a private bath in each guest room. 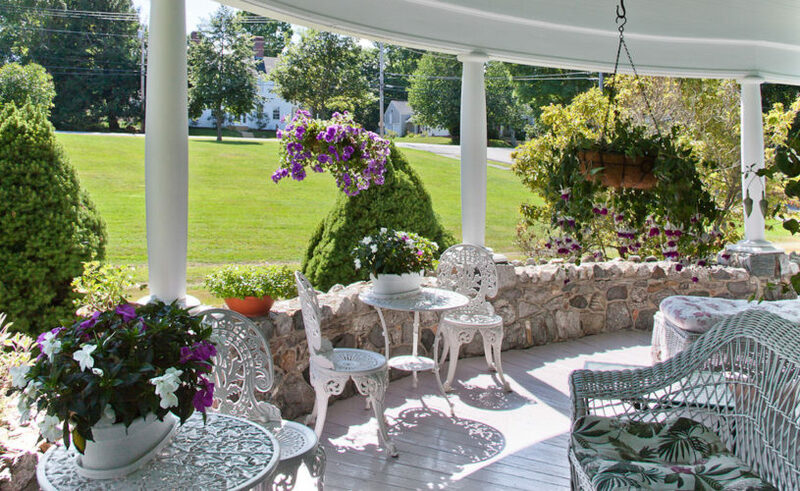 Also, two lovely verandas with porch swings and wicker furniture overlook the peaceful historic district of Belfast, Maine. 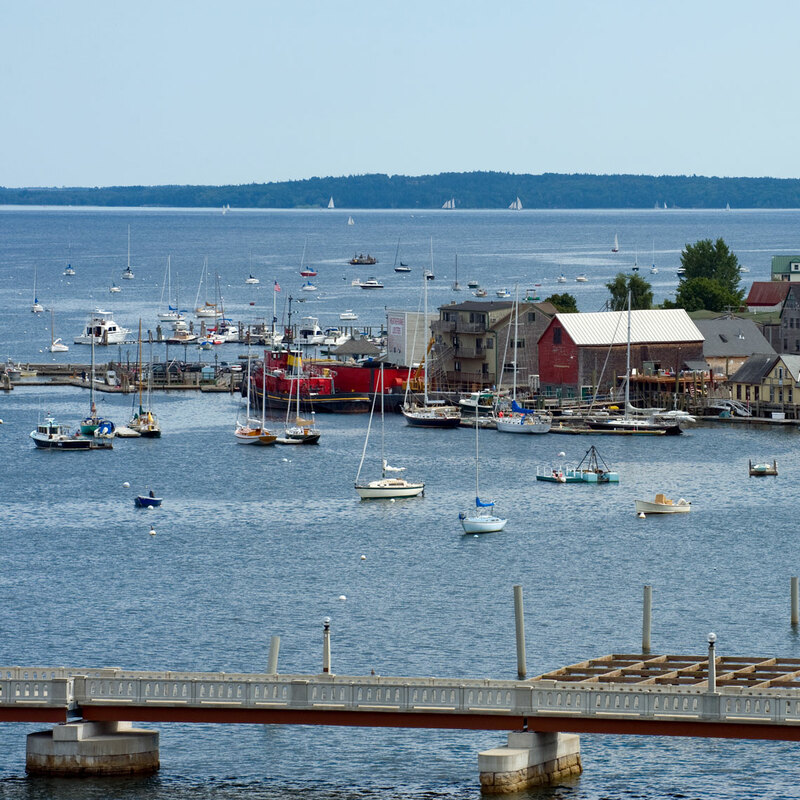 Nestled on the shore of Penobscot Bay, quiet Belfast is ideally located for day trips up and down MidCoast Maine, a perfect base to explore – Camden ● Bar Harbor ● Acadia. Belfast has repeatedly been named one of “100 Best Small Arts Communities” and features boutique art galleries as well as performing arts shows. 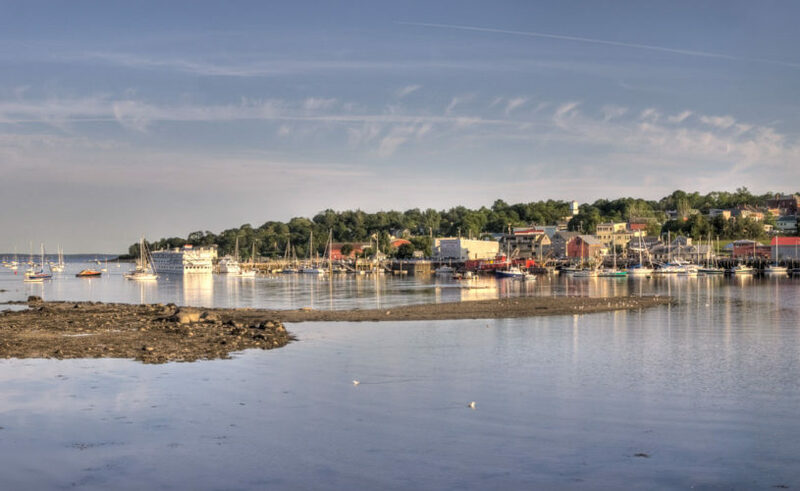 Come enjoy Belfasts’ summer and fall festivals; the delicious local seafood, and organic produce (local farms) served at the wonderful array of restaurants.